Aura: Fate of the Ages released in 2004 and is a first person puzzle adventure game with a unique fantasy storyline just waiting to be experienced. The game also has a sequel available titled Aura: The Sacred Rings. Like most modern puzzle games Aura is all about the story and the immersion aspects. 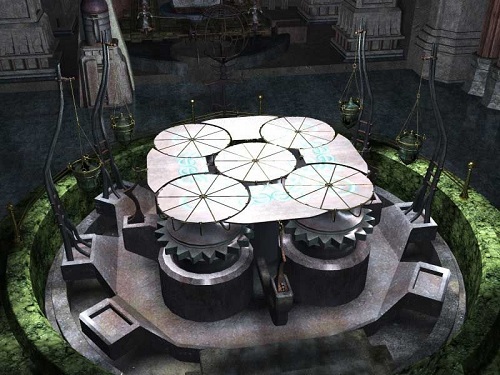 Of course the game also has plenty of intriguing puzzles to test you but the game relies on creating an impressive atmosphere around these puzzles to create a high quality experience. These days this is more easily achieved in the puzzle adventure genre thanks to improvements in graphics and the use of first person perspectives but doesn’t always ensure success. Thankfully this isn’t the case in Aura and it delivers from all angles of gameplay. The backstory for Aura tells of an ancient legend that involves four powerful and sacred rings that bring great power to whoever is able to collect them all. This is where players come into the fold as they go on their own adventure across four magical worlds to track down each of these sacred rings. Each of these worlds has their own environments, vibe and puzzle types so it does feel like players are going on four different adventures. Gameplay uses the old point and click style of interaction with the game world which players must use to uncover clues and information to help them on their fantasy adventure. In between exploring the beautifully designed game world players will find a number of puzzles that hinder your advancement which need to be solved. Puzzles include all sorts of tasks and tests, requiring your memory, reasoning and logic to solve. Aura: Fate of Ages is a nice addition to the increasing number of new first person puzzle adventures and strikes a nice balance between pleasing fans of the old games and newcomers to the genre. 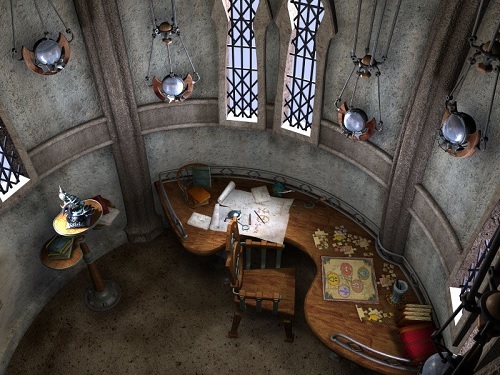 A puzzle adventure released in 2004. Focus on immersion and atmosphere. Great range of puzzles to test your abilities. Old point and click style adventure. Explore an impressive world through first person.